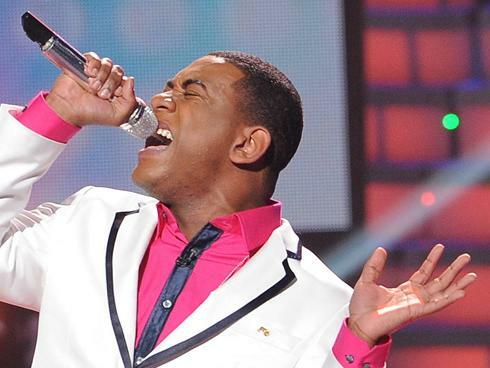 No surprise: Joshua Ledet finds himself at the top of this week’s Idol Meter after singing Bruno Mars’ Runaway Baby. After all, Ken Barnes notes, that uptempo “contemporary distillation of classic RB” was “just what old-school soul balladeer Joshua needed to vary his attack.” Joshua gets a 41 for the week, more than half his points coming because of the judges’ raves about his performance. Down at the bottom, there’s Phillip Phillips (19) and the beleaguered Hollie Cavanagh (14). Ken liked her Perfect performance, writing, “There was much to like about Hollie’s performance — notably, a spare guitar-based arrangement which set up a stark contrast with her well-executed glory-note climax.” The judges, on the other hand, didn’t seem to care much for it. So will Hollie go home tonight? And, for me, here’s the more significant question: Who’ll be the new person in this week’s Bottom Three? Phillip, perhaps? Or does one of the other singers have a smaller fan base than we’ve previously assumed?